August 29, 2015 .Reading time 5 minutes. I mentioned in my latest post that I had some very exciting things coming my way. One of the things is Panhellenic Recruitment week[end]. Preparing for this time has caused myself and many of my friends to bite off more than we can chew. I try to remind them (and myself) that this should be a time of excitement as we enter into a new and very exciting chapter in our lives. I’m the type of person who researches the heck out of something before experiencing it to make sure I know all of the possibilities. (I also hate surprises – I’m very boring.) 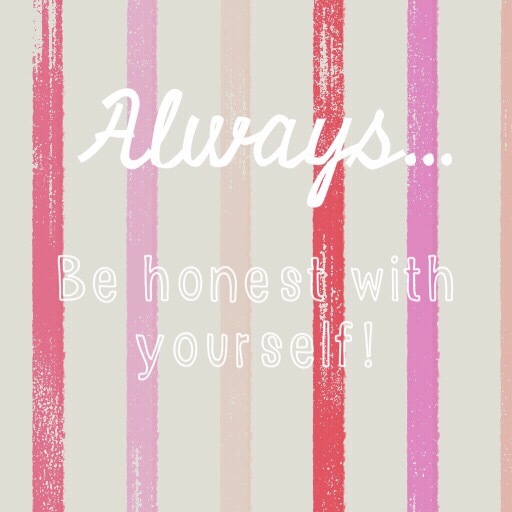 So, I decided to take the information that I’ve researched and put it in one place for you so that you can sit back, relax, and enjoy shopping for new outfits! Be honest with yourself: Just because one of your friends chooses a certain sorority doesn’t mean you are obligated to choose that one too. Go with the sorority that makes you feel at home because those are the people you will have a special connection with for many years. 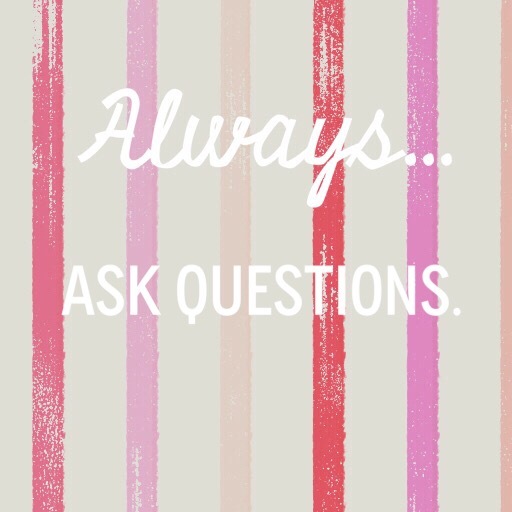 Ask questions: Nothing shows your level of interest other than the quality of the questions you ask. 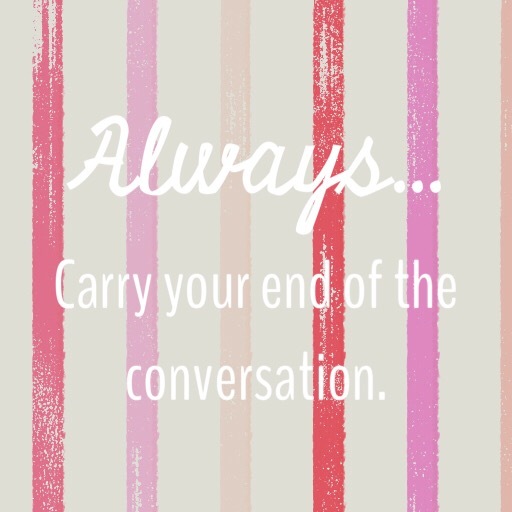 If you have a question, don’t be afraid to ask. It will make you stand out among the other girls fighting for the same spot as you. Be appreciative: Just like any other event, someone is giving up their time for you. This rule goes towards everything that you are involved in. Don’t forget to thank anyone and everyone who was involved in making your experience a good one. Trust me, a “thank you” goes a long way. 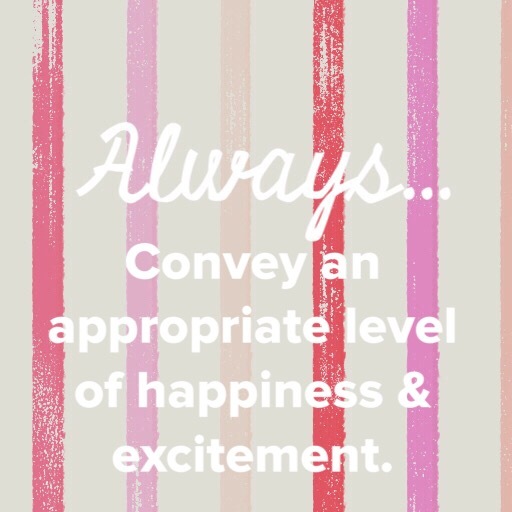 Keep calm: It is important to go into it excited and to let your excitement reflect through your personality. But there is a line you need to make sure you keep from crossing when it comes to your energy. No one likes the over peppy, obnoxious girl. No complaining: Nothing is worse than someone who over complains or complains in general. Recruitment week should be an overall happy experience for everyone, don’t be that one person who ruins it for someone else. 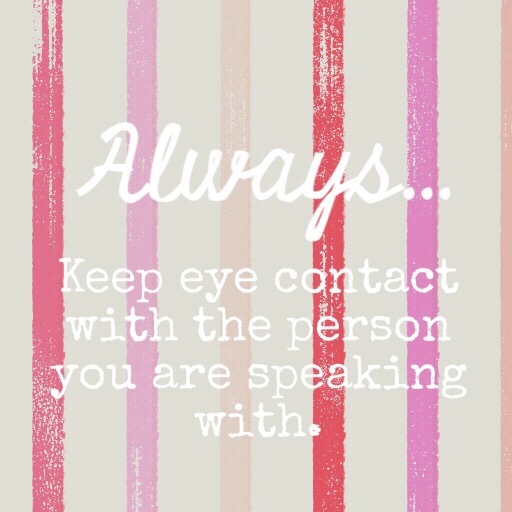 Keep eye-contact: A good tip for communicating with someone is to make eye-contact. It’s rude and unprofessional when you’re looking anywhere but in the person’s eyes while speaking with them. Conversational flow: When scouting girls for recruitment, it is almost understood that they would pick a girl who carries herself well over someone who slouches their posture and doesn’t hold their end of the conversation. While its not polite to only speak about yourself, the conversation is guided towards allowing the other person to learn about you. Keep smiling: It’s proven that happy girls are the prettiest. Smiles are contagious and can be one of the things that makes you stand out amongst the rest. 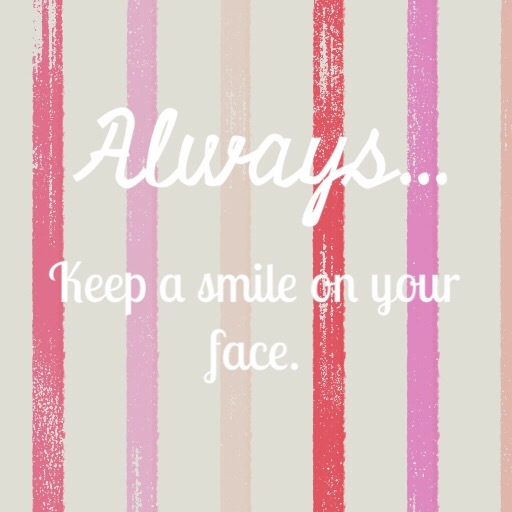 Just make sure you keep your chin up and keep smiling, you never know who is watching. “Please” and “thank you”: You only have a short amount of time to make a lasting impression on the recruiters. Therefore, you should always act your best. 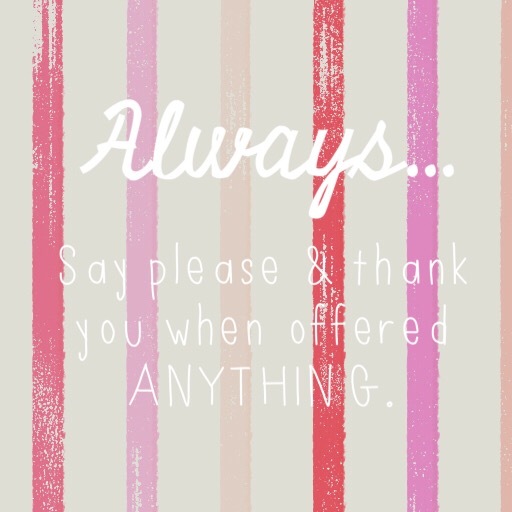 Saying please and thank you shows that you are respectful of others and live up the manners you were taught. Don’t be desperate: This is a weird one, I know. 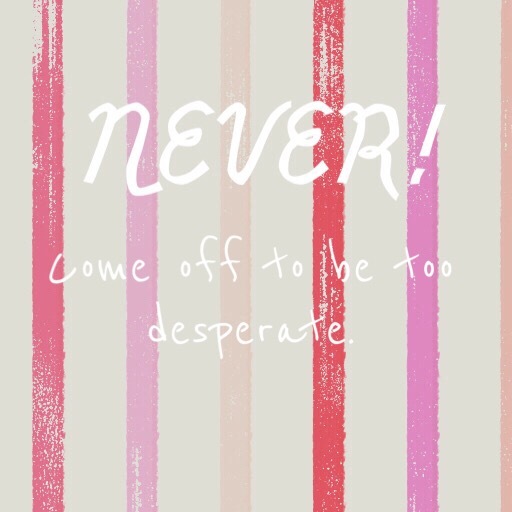 Sometimes we might not realize we are acting desperate when we really are. Keep it cool. Don’t let them think you would literally do anything just to get what you want. See how they can take that the wrong way? 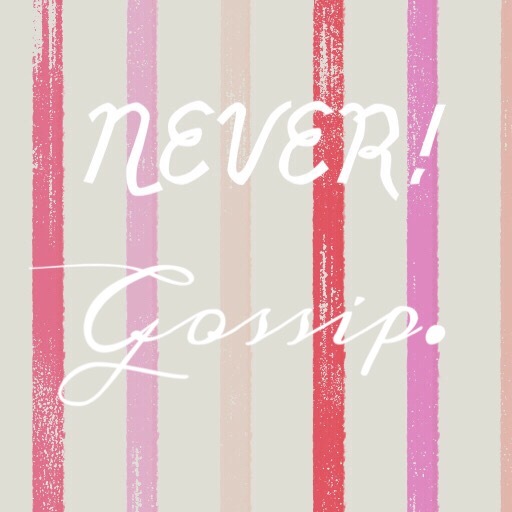 Don’t gossip: Everyone gossips -we get it. Try to refrain from gossiping during Panhellenic Recruitment week especially around someone who could possibly be making a bid for you. It’s unprofessional and not very classy. We all want a sister that we can fully trust to have our back.